What a magnificent Monday it has been! Shakespeare’s birthday, St George’s Day AND the birth of a new royal Prince. Morale-boosting stuff for the beginning of the week, after what was such a glorious sunny weekend. Should morale need boosting further, I bring a *gentle* reminder that, if you wish to buy your tickets locally and in person, we have a brilliant team of volunteers who will be selling tickets in Felixstowe Library from 10am to 12 noon on Tuesdays. Here at the Felixstowe Book Festival, our intention is also to spark interest and enthusiasm about reading amongst our guests. We have a wonderful array of fiction events to inspire you. Join Rachel Sloane on the 30th of June as she chats with authors Kate Hamer and Alex Hourston, whose novels respectively deal with a long lost family and the dark and complicated world of adultery. In a similar light, on the 1st of July, writer Blake Morrison will be taking centre stage in the Orwell Hotel Elizabeth Suite to shed light on his new novel ‘The Executor’. Dealing with the concepts of mortality, masculinity and married life, this will prove to be a fascinating event. 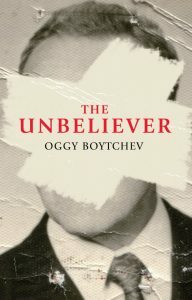 Festival favourite Oggy Boytchev is returning to Felixstowe this year to discuss his latest novel ‘The Unbeliever’. Hold on to your hats, as Oggy takes us through the life and times of a real life spy navigating their way through the Cold War. We have a whole host of fiction events for our younger audiences too. 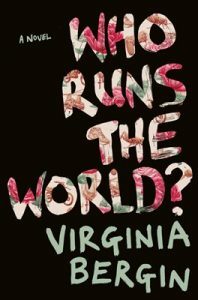 Suitable for those aged 12+, why not join Virginia Bergin and Hayley Long for lunch as they discuss their roles as writers for young adult fiction. Or how about our Happy Birthday to the Beano event – which also launches the annual Summer Reading Challenge – where Raspcallion Theatre company will take us on a rip-roaring journey through the world of the best beloved Beano comics! Don’t forget you can peruse our programme online here or pick up a paper copy at Felixstowe Library. Get your skates on, as tickets are likely to sell out fast!